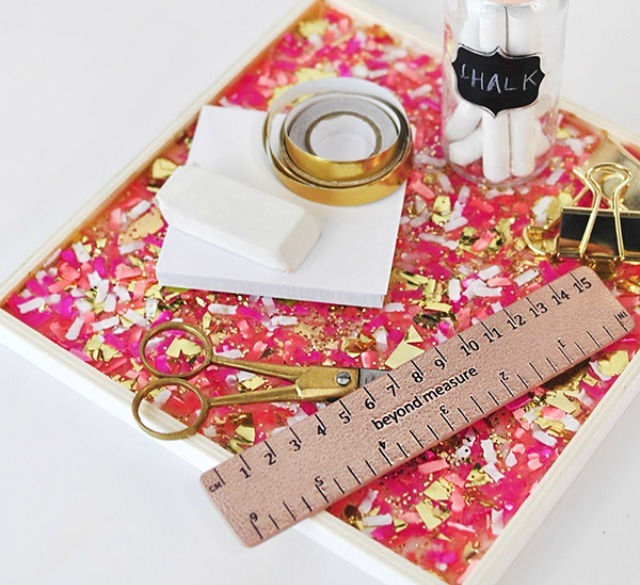 This confetti tray is too cute and looks like so much fun to make! You can find the directions on Delineate Your Dwelling and make one for yourself. My room in my Mom's new house has a white, pink, and gold color scheme so I'm thinking that this would be the perfect addition to it! Looking for the perfect little white dress for summer? Look no further than this gorgeous one from Lulu's! I love scalloped edges and this one not only has a scalloped hem, but there is scalloping at the arm area, too. In addition to the fun edges this dress has a gorgeous back. It is perfect for this time of year, especially for 4th of July weekend! 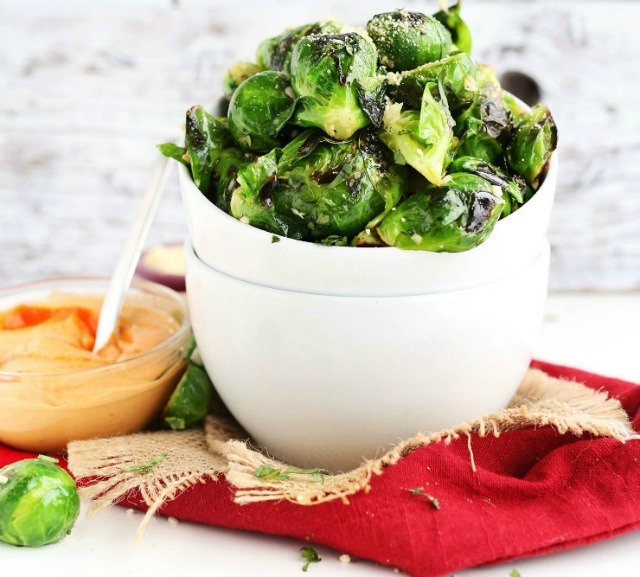 Brussels sprouts are definitely one of my favorite vegetables (if not my favorite) and this recipe from Minimalist Baker looks so good. These would make a great addition to any dinner or make for a fun appetizer. I'm thinking that you could even bring these to a party and they would be a big hit! I can't wait to try this recipe for myself. I think hippos are just the cutest! I saw this on Pinterest and thought it was beyond adorable. It's crazy to think that hippos aren't very friendly; I mean look at those faces don't you just want to cuddle them?! This cute and simple DIY is perfect for any 4th of July festivities you may be hosting or attending this weekend. 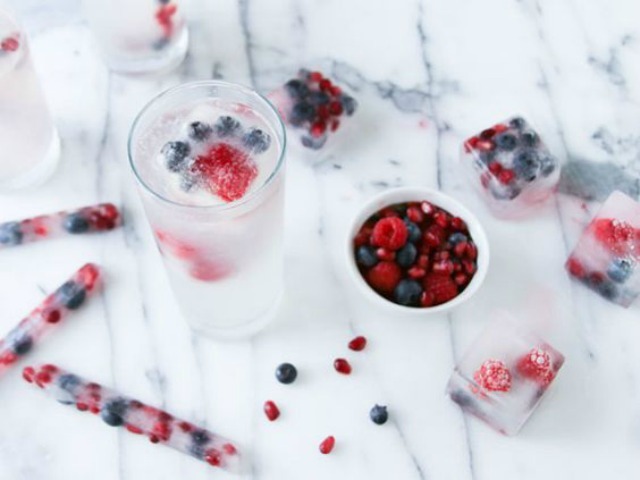 These will literally take you no time and will make your drinks look super luxe and like you spent way more time on them than you did. You can find the really easy instructions here and then make your own for this weekend! P.S. 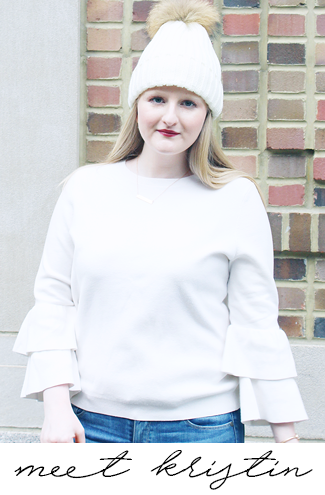 Don't forget to enter my Blogiversary Giveaway - there's only three days left! Love the tray and the Brussel sprouts. Fun blog post. That dress is so cute & those ice cubes look really fun. 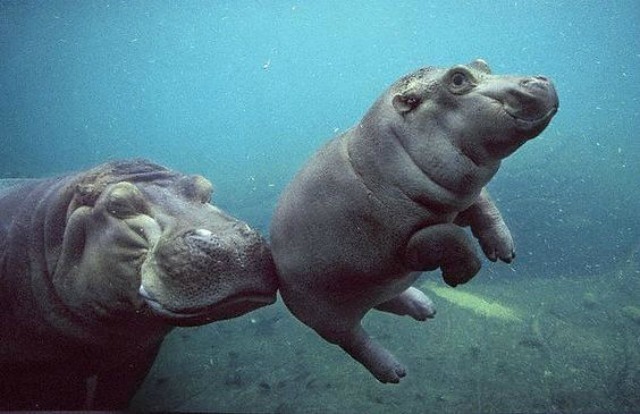 That hippo picture is so darling! I was going to comment about that cute dress (I still am, that dress is so cute) BUT THE HIPPOS! Adorable. Loved this! The confetti tray is SO cute! I love the fourth of July DIYs as well! That tray is to DIY for! It's soo cute.. i think I have to add it to my list! That dress is ADORABLE, and I love the ice cubes too. So great!! Brussels sprouts are always one of my favorite side dishes, I'm definitely going to pin this recipe for the future! OMG what a fun DIY tray! I need to try making that, how pretty! Oh that dress is pretty! Okay there are so many great things that made your favorites list. I love the coffee tray, the dress and the ice cubes. Very pretty LWD! And those Brussel sprouts look delish! I love Brussel sprouts on the grill, too, so yummy. Love the Confetti tray DIY! Definitely a DIY I would want to try! Love the fourth of july idea. Plan on trying it out for sure.